WordPress – give it a try and make it fly! Home » WordPress – give it a try and make it fly! 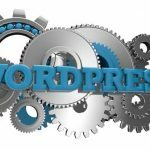 WordPress has changed the way websites are built and managed. We think . . . for the better! First launched in May 2003, this blog software has developed into the leading content-management solution for millions of businesses of every size, worldwide. There are plenty of detractors when it comes to WordPress, but none of the criticism hold water, when you understand a few important factors. Like anything with a high profile, WordPress is a high profile target. So the bad guys spend a lot of time looking for ways to hack into WordPress web sites. The thing is, WordPress is not like the old static html sites which operate with fixed code. In fact the whole web is now dynamic, with database driven software ready to bring you interactivity and engaging features. Straight out of the box, WordPress is not secure and as you add more plugins and functionality, you can easily add more insecurity. The new functionality also brings vulnerability, so those with nefarious intent can hack the same features to hack into your data and use your site for their purposes. You could lose your data, unwittingly become a spam engine, start promoting spam in your pages or worse! Always have a real WordPress expert set up your site and ensure basic security measures are in place to cover your initial set up. Never install a theme without checking out how often it is updated, the builder’s reputation and whether it is endorsed by the WP authorities. 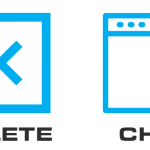 Ensure you have an ongoing maintenance plan, to back up your data and keep the site security up to date. Become an expert or have someone who is, look after the site. A smart move is to get WordPress Pilots to fly wingman on your site, looking after the updates, backups and scans to minimise the risks and keep your site operating happily. You don’t have to go it alone in WordPress, WordPress Pilots will train you and keep your site secure. Ask us how.